Testimonials - WIND RIVER COMPANY L.L.C. Rick is tops in his field when it comes to Risk Vulnerability and Threat Assessment. He saved my Company Millions. Steve - WRT Energy. Rick designed my Company's employee drug and alcohol testing program over 28 years ago. It's just as good today as when we first started. MJ Cheramie - L&M Botruc, Inc.
Rick trained my horse Peppysvegashowgirl and me. 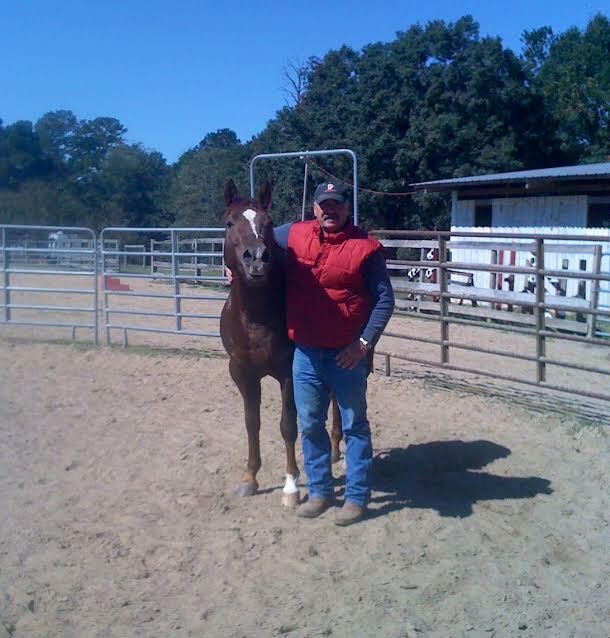 At 65 years old I was able to win an AQHA National Title, placing 5th in Limited Rider Cow Horse. Lucy Tetlow. Dualin Dude sells to JJ and Megan Hoover of Kentucky for $20K. 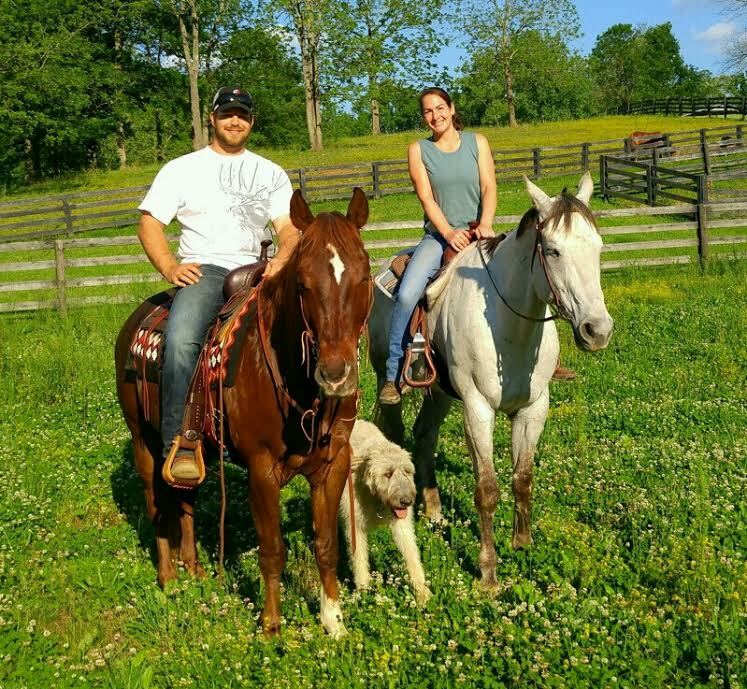 Dualin Dude is a Champion and Money Earner in Reining, Cutting, Cow Horse and is the first born foal by Dualin Oak and out of Stella Peaches. Awesome trained horse Rick. Every trainer that rides him, marvels at his training. Megan. Look what came in the mail. I order the wrong book on the internet last year. My dear friend Rick Dennis personally mailed this, so I'd get the right one. This is a great book. I rate it a 10 out of 10. easy to read, easy to follow, well written and illustrated. Best training book I've ever read. Thank You Rick Dennis. Sharon L. Wiley - Iowa. 5 STAR RATING! Rick Dennis, I can't wait to tell you how much I'm enjoying your two books CROSS TRAINING 101 & THE AMERICAN HORSE INDUSTRY, Avoiding the Pitfalls.Their packed full of easy to follow tips and great information. Roxanne Willingham. 5 STAR RATING! CROSS TRAINING 101, Reining,Cutting, Cow Horse should be required reading. Nena Winand - DVM. 5 STAR RATING! Great books!! John King - Roster Technology. 5 STAR RATING! CROSS TRAINING 101. I can't sleep lol, I can't put this book down!! Learning so much from this book. Kadi Lee Ferrel. 5 STAR RATING! Awesome introduction into the wonderful world of training!! Jim Babcock - Babcock Ranch, Sanger, Texas. 5 STAR RATING! I recently purchased your book off Amazon.com. 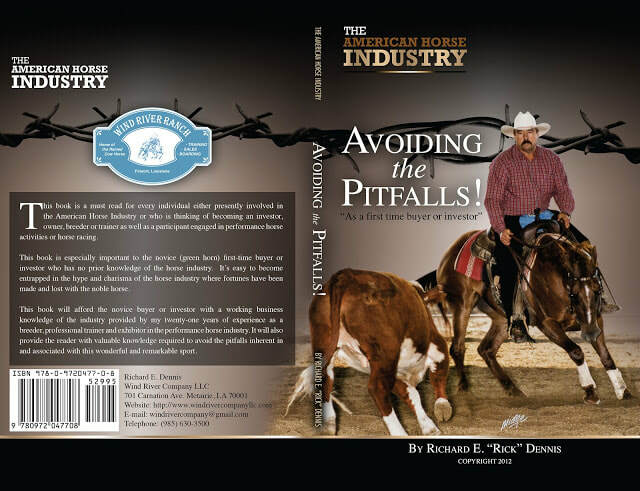 Being a new comer to the horse industry I just wanted to tell you this book is amazing. So much information inside. It's an easy guide to keep equestrians out of trouble with their businesses or personal ownership. I definitely recommend this book! Kathy McCregor, Princeton, New Jersey! 5 STAR RATING! Thanks for the book Rick. 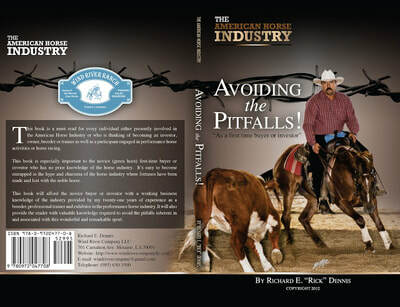 I've read your book from cover to cover and it's a well written, easy to read book, with a lot of good information for anyone entering or in the Reined Cow Horse industry. Sounds like Greg had an impact on you. Great training info! Congrats! 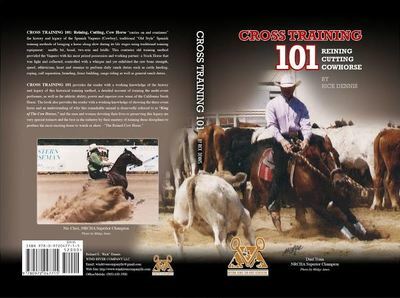 Barney Skelton - Pro Reined Cow Horse trainer and NRCHA member. 5 STAR RATING! So far a great read. A third of the way through already. Read it through then go back through with the fine tooth comb. Love learning. Just wishing I lived in Louisiana so I could learn from Rick Dennis himself. I'm sure questions will arise. So far this book is inspirational and educational in all ways. Thank You! Letitia Bahten. ​5 Stars! !